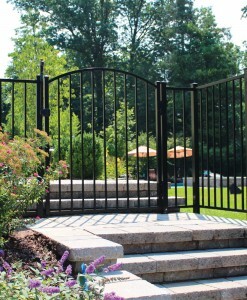 Residential grade aluminum is perfect for back yards and POOLS. 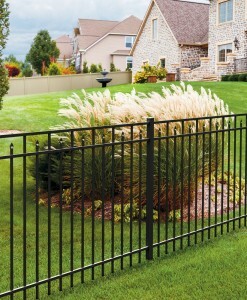 The residential panels are designed in 6’ wide sections and consist of 5/8” x 5/8” pickets. The panels are fastener-free. 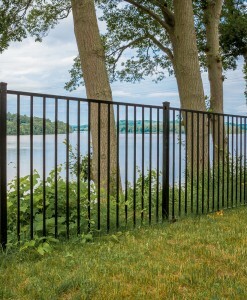 The posts are 2″ x 2″ square aluminum for residential grade. 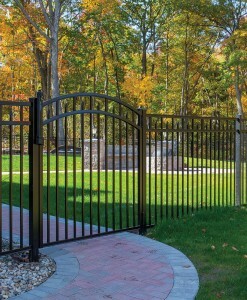 Many of the styles are complimented with beautiful ARCHED GATES that help distinguish the access to your property. 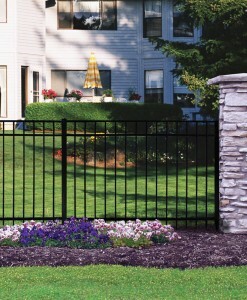 Ornate Accessories such as Ball Caps, Finials, Rings and Scrolls can be added to panels and gates. 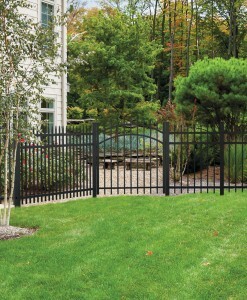 The Aluminum panels are powder coated, maintenance free, and come with a Lifetime Warranty.